The Commando was formed on the 23rd June 1940 reaching full strength in September at Burnham on Crouch, Essex. 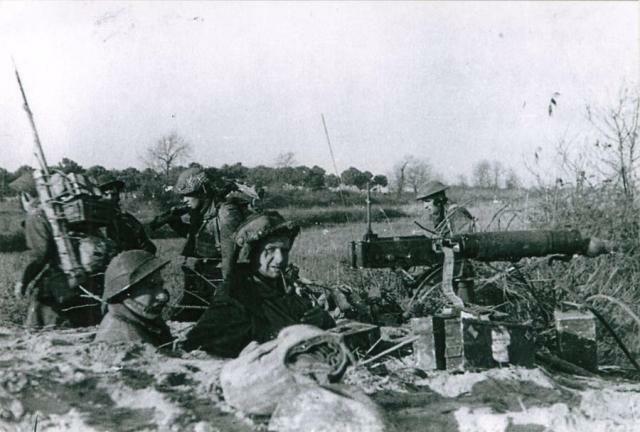 Mostly made up of members of the various Guards Brigades, it became unofficially known as No 8 (Guards) Commando. Temporary Captain Richard Allott was awarded the Military Cross  whilst attached to the S.B.S. after his service with No. 8 Commando  ended. Cpl. Baker was killed during operations in Libya with Layforce. 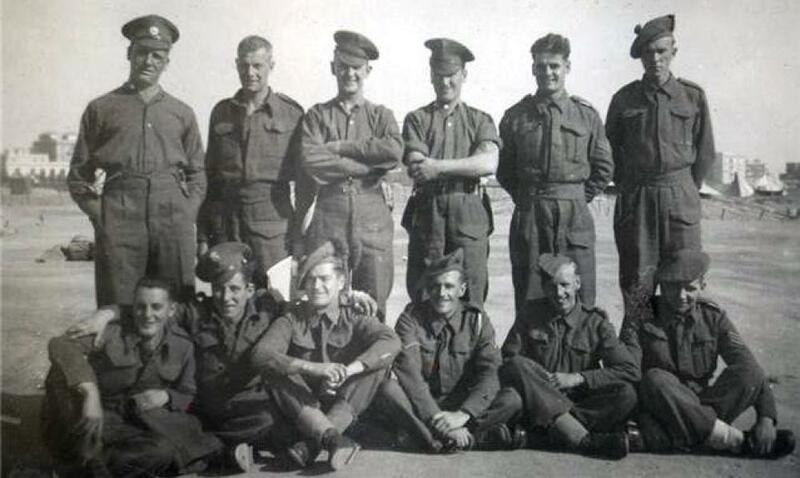 Guardsman Stanley Bolland was serving with "L" Detachment, S.A.S. Bde., Special Air Service Regiment, A.A.C. at the time of his death, having previously served in No. 8 Commando. He died during Operation Squatter, a raid on Axis airfields at Tmimi and Gazala, West of Tobruk in Libya. Sergeant George Bremner, having left the Commando and joined the S.B.S., was awarded the Military Medal in recognition of gallant and distinguished service in the Middle East . Lance Sergeant William Brough, formerly No.8 Commando and known as Jimmy, was awarded the MM whilst serving with the Special Air Service Brigade in recognition of gallant and distinguished services in the field. See more on this entry in our Forum [view]. London Gazettes Supp. 35799, page 5142. Cpl. 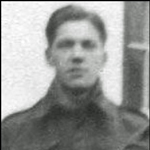 Leslie Brown was killed when his jeep patrol was attacked whilst en route to harass the enemy in Southern Tunisia. He was serving with 1st SAS ('B' Sqn.) at the time of his death having left the Commandos. He had previously served in both No 8 Commando and 51ME Commando. Private Francis Cawsey is believed to have been attached from No 8 Commando to Mission 204 at the time of his death. Bombardier Edwin Couldrey was one of the Commandos from No 8 who were attached to the Special Service Detachments (1 & 2) and Military Mission 204 to the Far East. Company Sergeant Major Samuel Dickason served in No. 8 and No.3 Commando . 13 June 1970 appointed M.B.E. (Civil Division) whilst Chief Office Clerk, House of Commons Library . Commando Association newsletters 83, 87, 108. London Gazettes Supp. 45117, page 6378. Regimental Sergeant Major Anthony Drongin of No 8 Commando gave up his rank to join L Detachment SAS when 8 Commando was disbanded. He served as a Corporal and is reported to have died of wounds inflicted during SAS operations near Benghazi. Captain Philip Dunne, Special Service Bde. HQ., was awarded the MC for his gallantry during the Salerno Landings. Trooper Keith Edsall died in service, cause not known to this archive. Major Richard Hanbury-Tracy died at sea whilst No 8 Commando were part of Layforce. 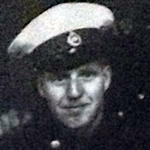 Corporal Edward Harrold drowned at sea. Specifics relating to his death are not known. 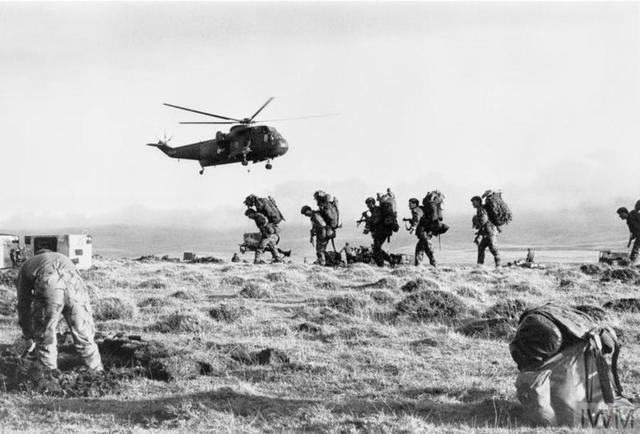 However at the time of his death No 8 Commando were training in Scotland at areas such as Inverary and the Isle of Arran. A few under Lt. Roger Coutney were invoved in training in the use of Canoes and Folbots whilst on Arran. Data file for the Westminster Abbey Commando Roll of Honour. LSgt. Headland died as a result of an accident during operations in the Middle East. Pte Leonard Lacey was killed whilst assigned from the Commando to Middle East Detachment 2, later redesignated 2nd Special Service Detachment (SSD 2), in Burma. Lieut. Lewes was serving with "L" Detachment, S.A.S. Bde., Special Air Service Regiment, A.A.C. at the time of his death. His previous service in No. 8 Commando is mentioned in various books but nothing official confirming this has yet been found by this archive. His name is recorded here in the hope that this can be clarified in the future. He was killed during operations against an airfield at Nofilia. Pte. Miller was one of a contingent from Layforce (No 8 Commando) who were attached to Middle East Detachment 2, later known as 2nd Special Service Detachment or SSD2, for operations in the Far East. LCpl. Prowse was killed during operations in Libya with Layforce. 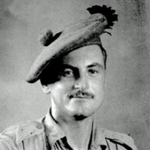 Company Sergeant Major Arthur Richardson was one of a contingent from Layforce (No 8 Commando) who were attached to Middle East Detachment 2, later known as 2nd Special Service Detachment or SSD2, for operations in the Far East. Trooper Lewis Scanes is believed to have been attached from No 8 Commando to Mission 204 at the time of his death. Westminster Abbey Commando ROH database. Pte. 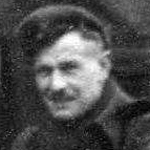 Thomas Sillett died of illness (diptheria) whilst serving with 1st SAS, 'A' Sqn. He had joined No 8 Commando in 1940 and embarked with them for the Middle East at the end of January 1941 as part of Layforce. He later left the Commandos and joined 'L' Detachment SAS in June 1942. Sgt. Stone was serving with "L" Detachment, S.A.S. Bde Special Air Service Regiment, A.A.C. at the time of his death, having previously served in No. 8 Commando. LIEUTENANT David Sutherland and Royal Marine John Duggan were the only two to return from Operation “Anglo”, a raid on the Italian-occupied island of Rhodes by the Special Boat Service in September 1942. The SBS team was pursued relentlessly; it had attacked two airfields and destroyed aircraft positioned to support Rommel’s threatened advance on Cairo and to bomb supply convoys to beleaguered Malta. Lance Corporal John Terry, 2 troop, was killed by a locomotive during a night operations exercise. The Commando were based at Burnham on Crouch at the time. 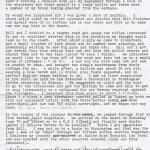 No 8 Commando War Diary entry 29th August 1940. National Archives WO/218. The full circumstances of the death of Gnr. Wells are not known to this archive.